I've been trying to figure out what's going on with my fridge. 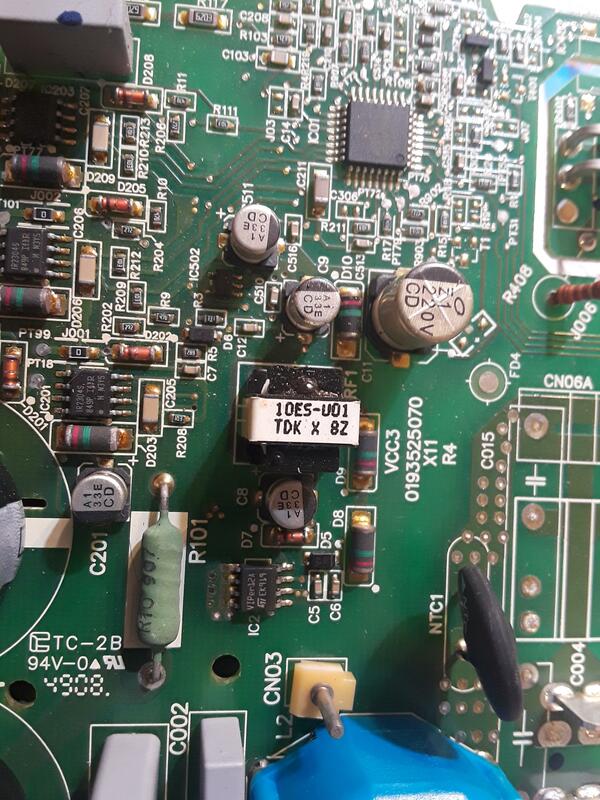 I have a Whirlpool W8RXEGMWB00 built in 02/2010. Simply stated, one day it completely stopped cooling. I can leave it run all day and it will not drop below room temperature. The fan runs and the light works, however, the compressor is warm, so I am assuming it is not kicking on. 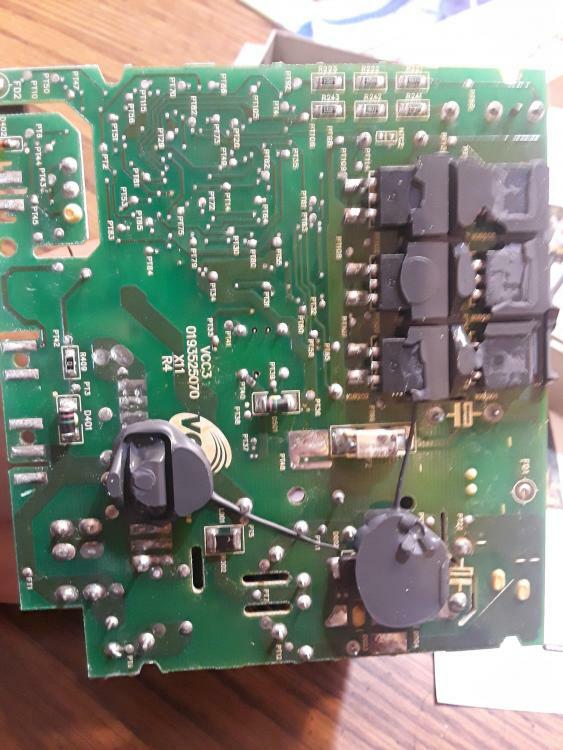 I have tested continuity of the thermostat, which was fine, as well as continuity of the 3 prongs on the compressor, which all were equal, and also power to the inverter board and compressor, which was fine. 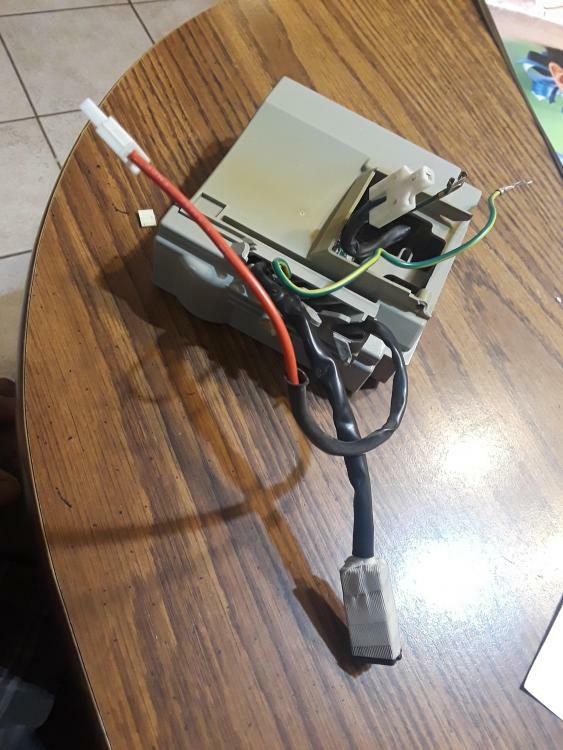 There is only 1 single red wire that leads to the inverter that I assume is the "trigger wire" so to speak, I am unsure how to test that. I am now stuck as to where to proceed next. Any and all advice would be much appreciated. 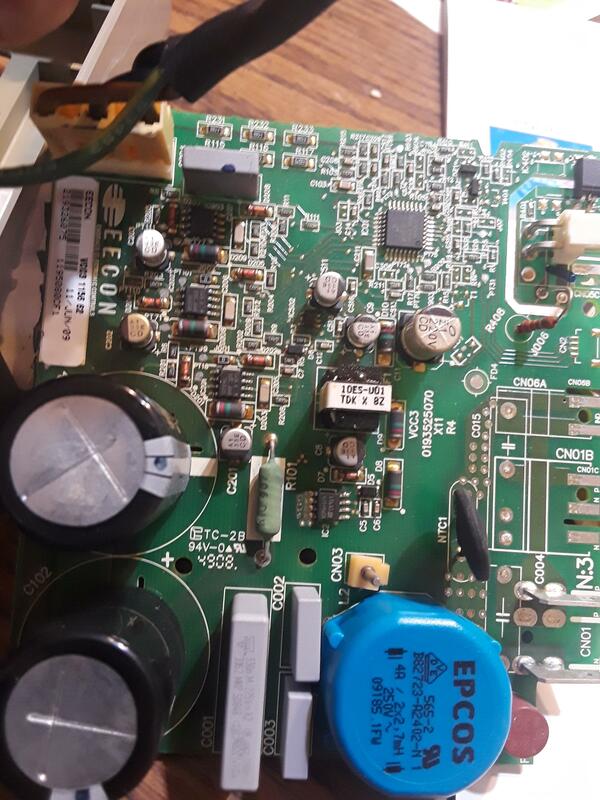 At this point my guess is it's either the inverter board, or possibly the defrost board (I am not sure if the defrost board would cause this condition or not, or how it could be tested), unless of course there is something I am missing. When a compressor is not running it is normally room temp not warm. When you turn on the unit you should be able to feel the compressor vibrating if it running. You may have to put a rag into the fan so you can hear and feel The compressor. If it is running I would want to check the frost pattern on the evaporator. Should be evenly frosted. You said the fan runs but didn't mention what fan. 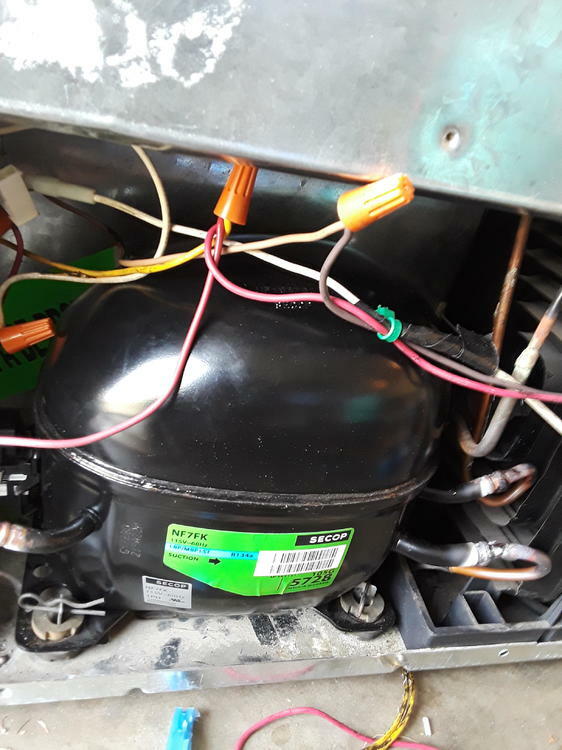 You need to make sure the condensor fan by the compressor is running and the evaporator fan in the freezer is running. Check for power at red n white wires . 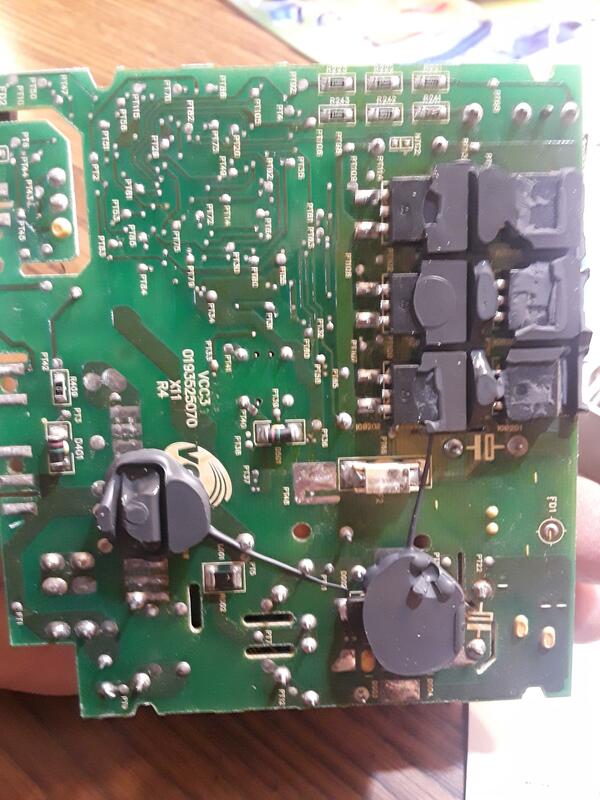 3 to 5 volts dc. johntech, with your guidance I have verified that the compressor DOES run. However there is NO frost whatsoever on the evaporator. I have also verified that both condensor fan and evaporator fan both do run. Ivasquez11, I am not sure which line is the discharge tube but there are 3 lines in all - 2 are slightly warm and the other is slightly cool. Sealed system failure. Sounds like the refrigerant leaked out since the compressor and all fans are running and still no cooling. Your best bet now is to start shopping for a new one. Ugh, now that you say that it (unfortunately) makes perfect sense. I truly appreciate the help despite the end result! 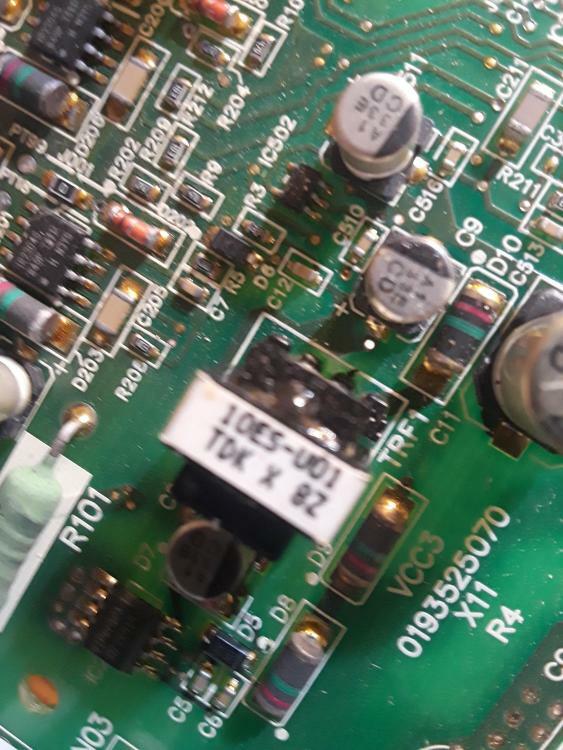 I just bought one of these for 15 bucks thought I could fix it or at least salvage parts of it.plugged it in and nothing. 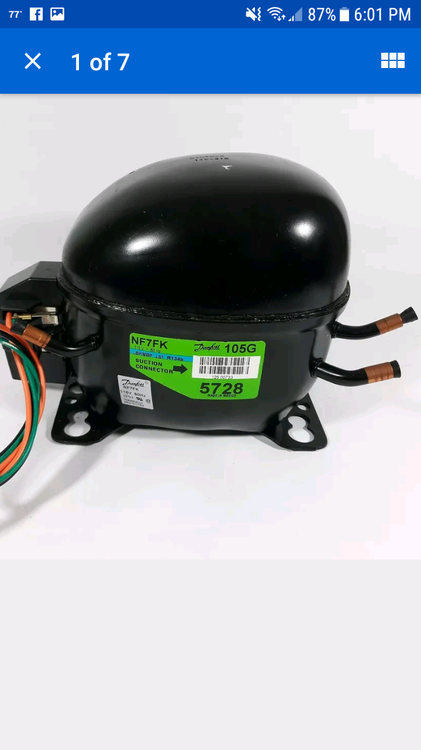 So I looked in back and saw the invertor was disconnected from compressor I assume someone had looked at it and called it done.i put it back together and everything comes on and I believe compressor is running but not sure.ill have to dug a lol deeper to be sure. 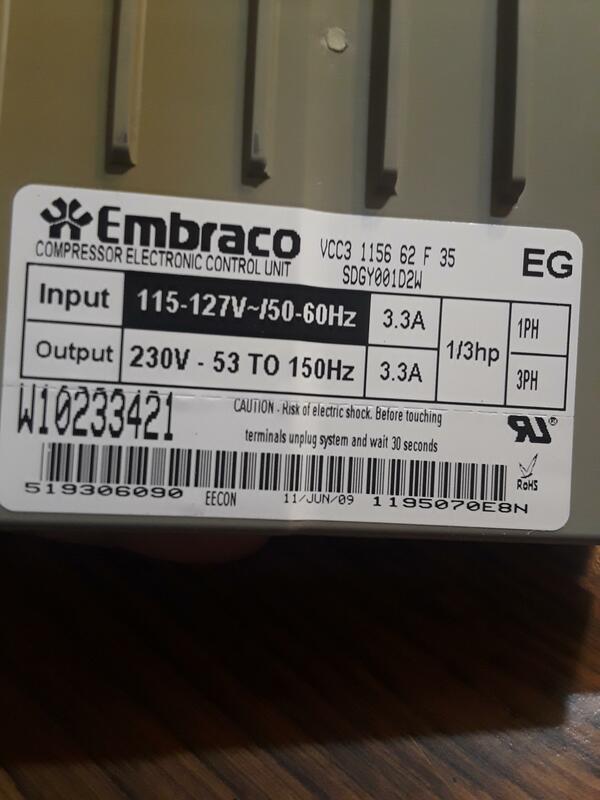 Could I put a regular compressor in it?with a regular relay? Why not just throw a new inverter on it? Going the cheap route not wanting to pay over 200 dollars just to sell for maybe 100 or 150.i could.probably make money salvaging it instead for parts and fixing another fridge. My plan is to get a compressor pc660L 1/4 hp next pay period and swap it out for 80 bucks.also when it gets a lil warmer.ill have to check pressures to see if there's actually freon in it and reclaim it of course.hopefully there's no leak already otherwise y bother I guess I will check pressures before I spend any more first.as soon it gets Abit warmer as fridge is outside on patio. Update: I have replaced the compressor and got it to run added some Freon but the filter is getting frosted and freezer is still warm. Is this because I didn't change the filter I know that it's supposed to be done whenever there's a compressor change out. Or perhaps I didn't hook up the lines right? I brazed them on just like the old compressor. It's similar to this one.